There is something troubling that keeps me up late at night. At times, I feel like I got the weight of the world on my shoulders. Recently, I learned about a threat to Bee Tree Park and all of us living in the St. Louis area. This is a huge concern for me . 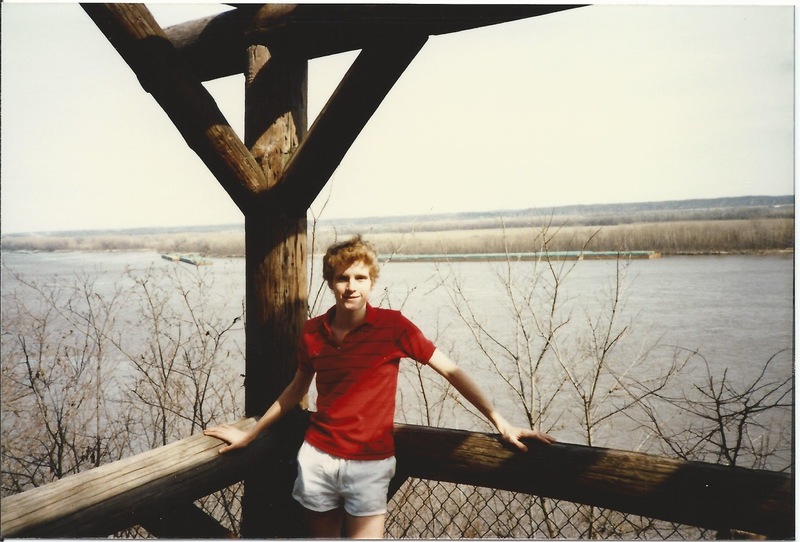 Since I was a young child, I have enjoyed hiking the trails at Bee Tree, and admiring the view of the mighty Mississippi River. 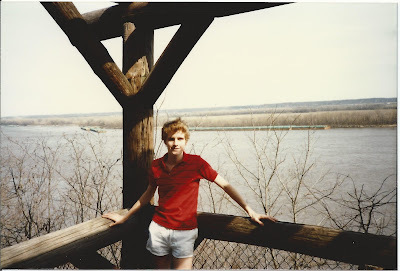 Here is a picture of me at the age of 17 at Bee Tree. I have so many memories from Bee Tree of family gatherings, church picnics; my high school band’s annual awards picnic, and even one of my first dates. I find Bee Tree to be so beautiful that it inspired me to be a seasonal national park ranger at Crater Lake National Park in Oregon for the past 21 years. Crater Lake is amazing because it is deepest lake in the United States, almost 2,000 feet deep. Because there is no cities or industry close by, Crater Lake has some of the cleanest air in the United States. The rangers, such as me, encourage visitors to take a deep breath while they visit our park because the air is so clean. Unfortunately, the air at Bee Tree and the surrounding St. Louis area is not clean at all. Right next door to Bee Tree Park is the Meramec Coal Power plant. The Meramec coal power plant was built in 1953, sixty years ago. It operates to this day without no modern pollution controls. What I especially find scary is all the sulfur dioxide emitted from the smokestacks of this power plant. 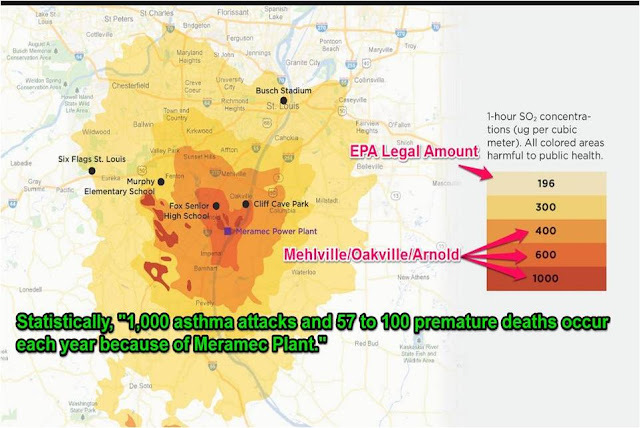 In 2012, Wingra Engineering, an independent engineering firm hired by the Missouri Sierra Club, released this model showing the range of sulfur dioxide pollution from the Meramec Power plant. My friends, you can see that we do not live in a safe area. According to the Environmental Protection Agency, the safe limit for SO2 pollution is less than 196 micrograms per cubic meter. The deep red areas show where sulfur dioxide concentrations are over five times the safe limit. I lived 37 years in Oakville, Missouri in the deep orange section of the map which is over three times the safe limit. Met Life Building, where we have this Toastmasters meeting is over twice the safe limit. Most of the St. Louis metro area, which includes Busch Stadium and Six Flags, exceeds the safe limit for sulfur dioxide pollution from the Meramec Coal Power Plant. So what, Brian? Why should I care? Even worse, this report states that “the Meramec Power plant causes 1,000 asthma attacks and 57 to 100 premature deaths each year.” Folks, this is not just statistics. This is about your life and your family. Here is a picture of my family: my parents, sister, brothers-in-law, nieces and nephews. Now think of your own family for a moment. Folks, who here wants their family living in a healthy and safe area? Then the pollution from the Meramec Coal plant is simply unacceptable. Both of my parents are survivors of cancer. On March 2nd, my dad had surgery to remove a six inch cancerous tumor below his kidney. The doctor asked my dad if he was a smoker because my dad’s cancer was typical of a smoker. However, my dad has been a non-smoker his entire life. I am worried that living in Oakville for 36 contributed to their cancer. From May to October, I live in a very healthy environment at Crater Lake. Yes, I do live in paradise. However, this is what keeps me up at night: the health threat that my parents and all of you face living next to the Meramec Power Plant. First, please fill out these green cards drafted by the St. Louis Sierra Club. They are addressed to the St. Louis County Council. We are asking County Executive, Charlie Dooley and entire the St. Louis County Council to request the Missouri Department of Natural Resources (DNR) to require Ameren, the local electric utility which operates Meramec Plant, to lower its sulfur dioxide emissions to levels that are safe for our families according to the Clean Air Act. Second, I need you, my fellow Toastmasters, to speak out against the pollution from the Meramec power plant. I cannot clean up our air alone, especially while I will be living over 2,000 miles away for the next five months. Let’s do everything we can for health of my parents, nieces & nephews, your family and Bee Tree Park to help me sleep better at night this summer at Crater Lake. If we can reduce and eliminate the unhealthy pollution coming from Meramec power plant, I think someday my nephew Andrew Hunt and my niece Rachel Hunt, who are St. Louis area residents, will thank us for saving their home. In closing, have a wonderful summer in St. Louis. I will see you again in October. This entry was posted in Uncategorized on April 18, 2013 by bettling.